Even though we got returned from vacation two weeks ago, it’s still hard to get back into the swing of things. Going to work just isn’t as much fun as morning walks along the ocean and wearing my swimsuit under everything! 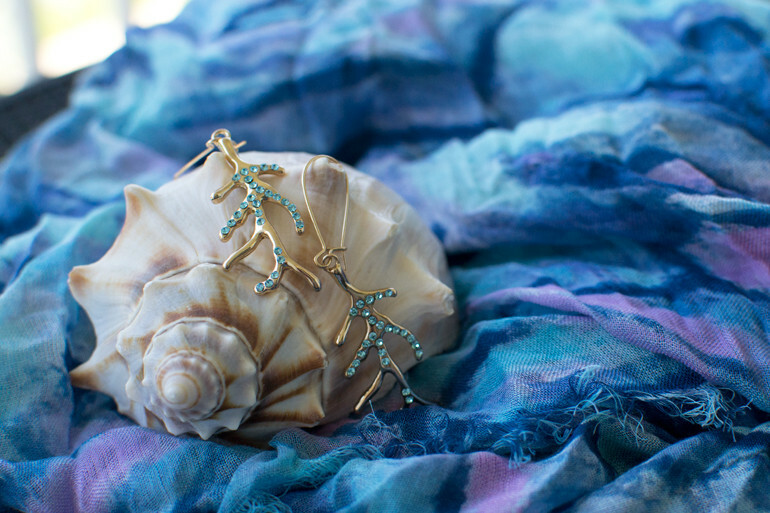 To compensate, I’ve been reaching for these seaworthy accessories: gold boat shoes, coral-shaped earrings, and a scarf that reminds me of the sun reflecting off rippling waves. FRAAS actually sent the scarf to me before we left for Charleston. The welcome travel companion is gauzy and lightweight (easy to pack!) and incredibly soft. As with most scarves, I used it as a makeshift blanket on the plane – an easy thing to do with its generous dimensions of 40 x 72 inches. 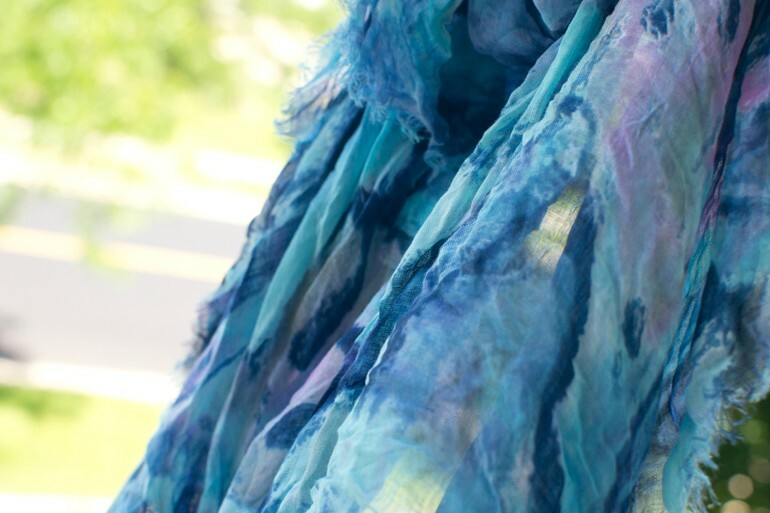 I’ve always been fond of Lemlem’s multiple stripes and color combinations, but $170 is a bit steep for a gauzy scarf. 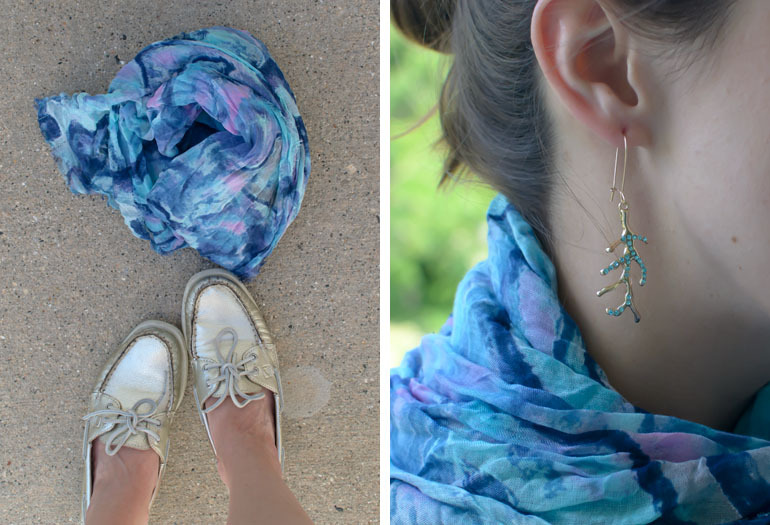 Get the look with this Mango version for a fraction of the price. I also found lovely versions at Gap ($29.95) and Old Navy ($12.94). 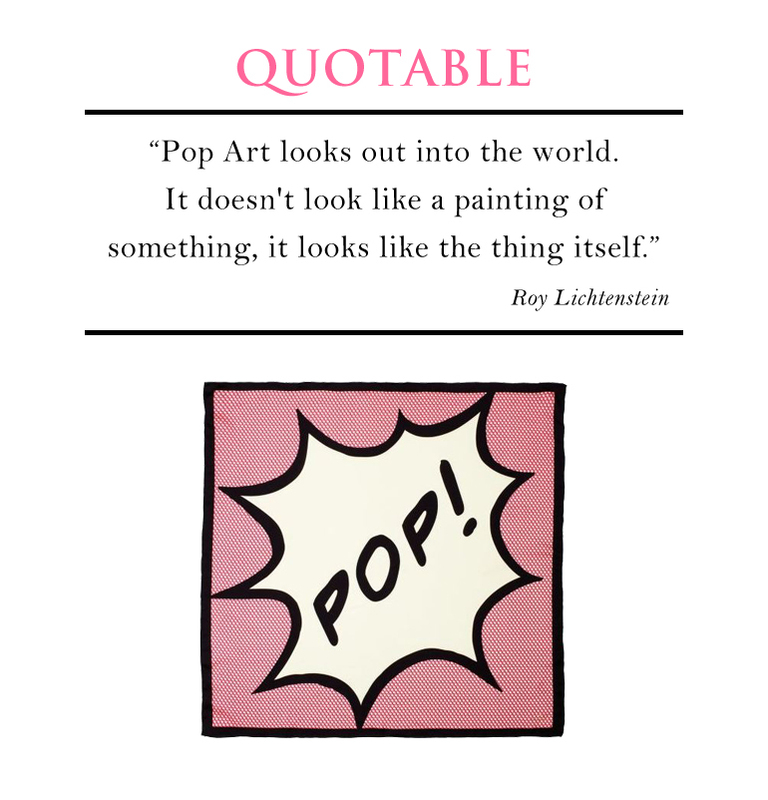 I hope your weekend is full of unexpected *pops* of fun. 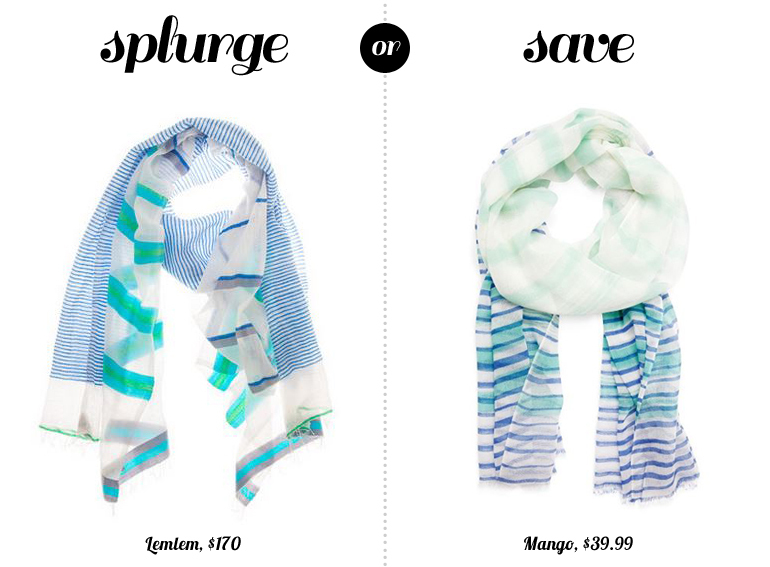 This Kate Spade scarf is a good place to start. 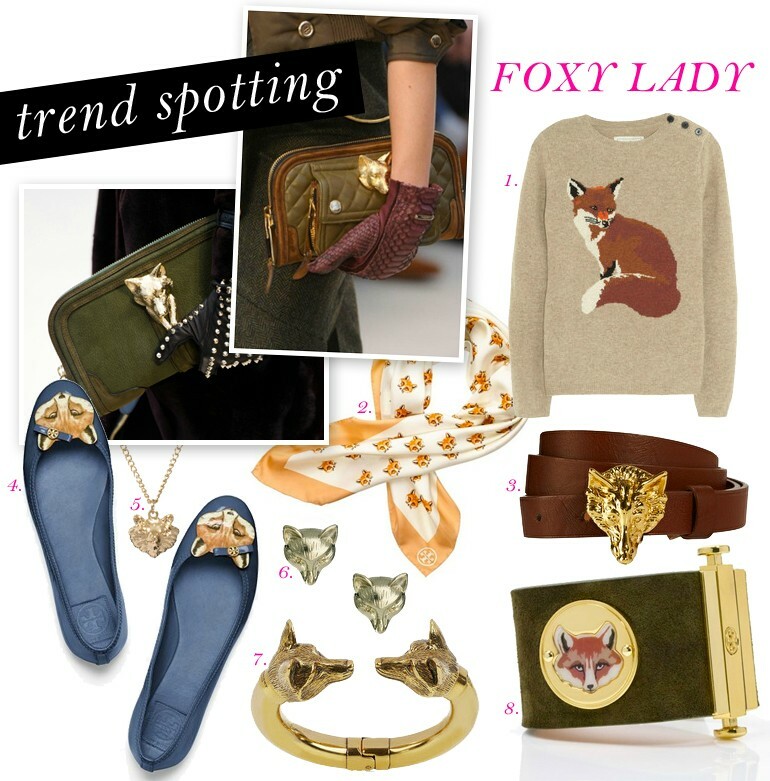 Fox motifs have slyly worked into autumn’s wardrobe. 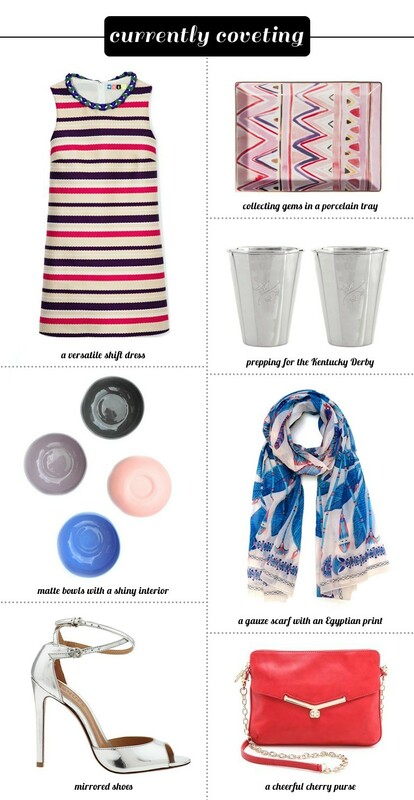 Wear these friendly faces in unexpected ways to avoid a full-on “woodland chic” aesthetic. How about that sweater with a refined pencil skirt? Or fox baubles with a cocktail dress? The key to pulling this off is keeping it playful.